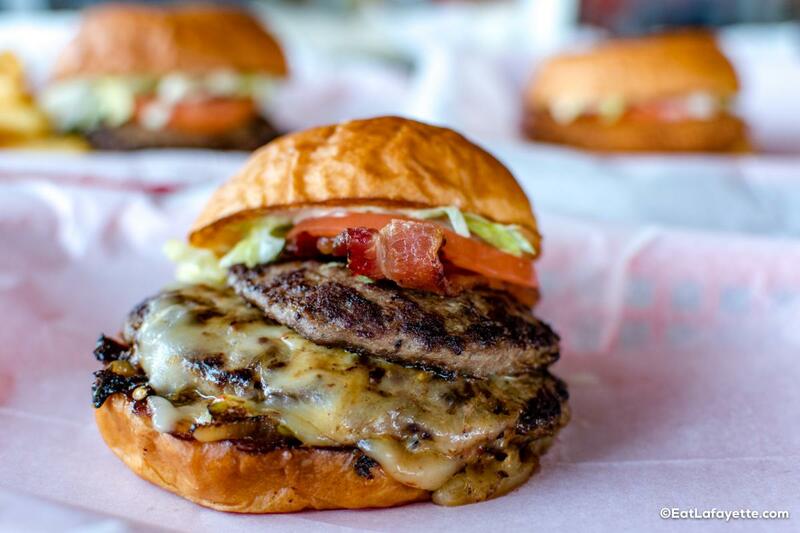 Twin brothers Billy and Denny Guilbeaux own and operate the two locations of Twins Burgers and Sweets in Lafayette and Youngsville. 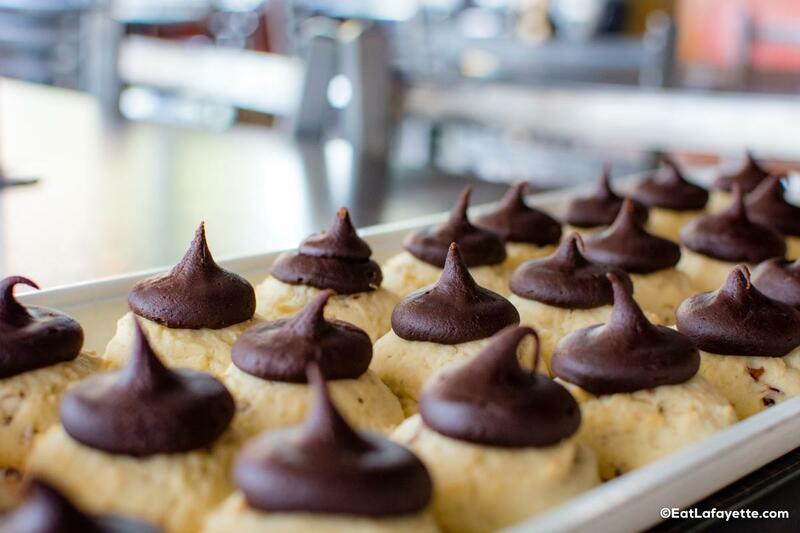 The bakery is known for their homemade burgers as well as their pastries including various versions of Petit Fours, cakes, and other confections such as Gingerbread Twins. According to Billy, just about everything is made in-house for freshness and quality. Billy also says that he and his brother have been at it for quite a while. The pair grew up in Carencro, and as early as 4th or 5th grade, the boys were already making and selling sweet dough pies around town. Quite the industrious pair, later on, they would pick and sell pecans, make Christmas cookies to sell at school, and even gather aluminum cans to scrap for extra money. 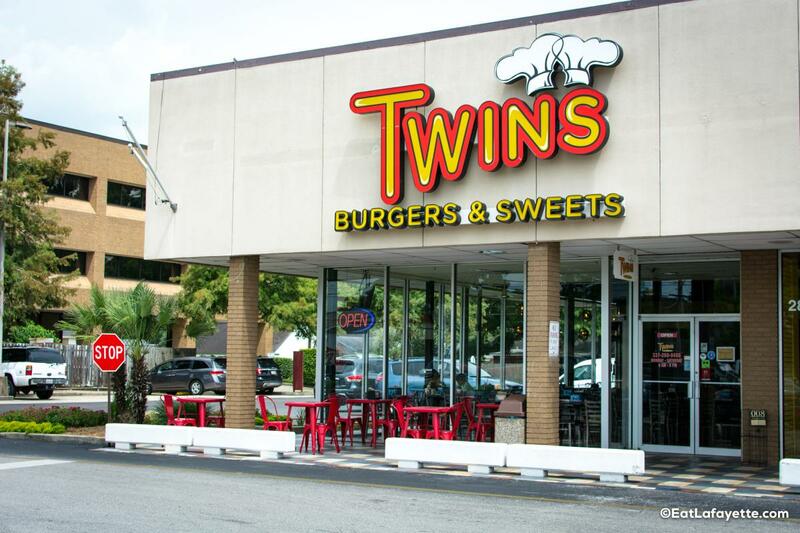 Billy and Denny opened the first Twins location in Lafayette in June of 2012. Today, both the Lafayette store as well as the location in Youngsville offer a wide array of food for their guests. When describing their style of food, Billy aptly says “Sweet and/or Savory,” and the combination is relatively unique among area eateries. The savory options are simple, yet delicious. The headliner here is the Twin Burger, with two patties of course. The meat for the patties is ground and seasoned in-house and contains just the right amount of spice. 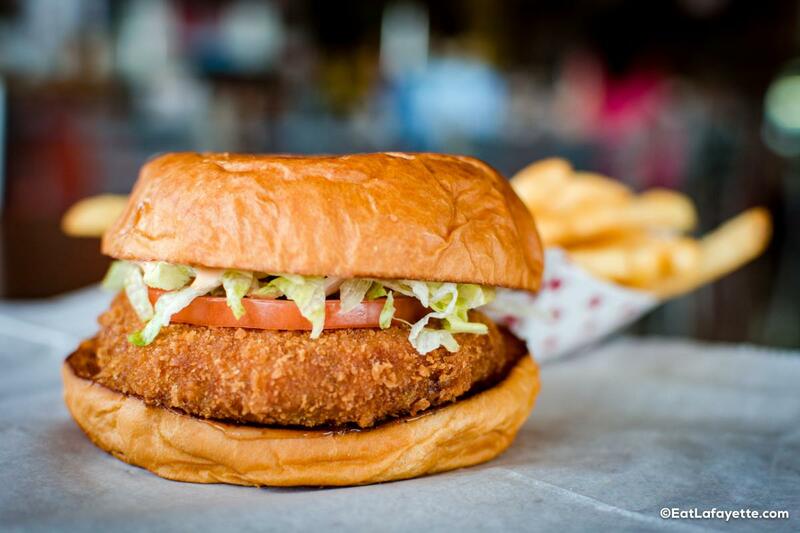 There are plenty of options to accommodate all tastes, including a turkey burger, crab and crawfish burgers, a junior size with a single patty, and a dozen add-on options. The star of the show, however, is the bun. They are baked fresh daily, and they are delicious. The dough is slightly sweet, complementing the spice of the burger, and the texture is perfect, offering just enough density to do its job without getting between you and your twin burgers. The savory options don’t end there, however, as the bakery also offers hot dogs with plenty of add-ons served on, you guessed it, delicious buns, made fresh in-house. They also offer an egg sandwich and a grilled cheese sandwich. The sweet options are more than abundant as well. 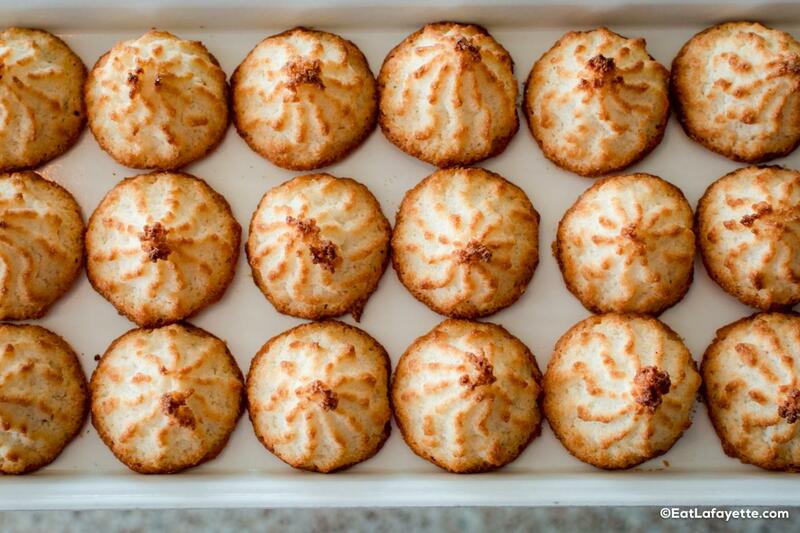 There are at least six varieties of Petit Fours available along with dozens of cookie varieties. The menu lists seven types of cakes which can, of course, be decorated to custom specifications. Some notable confections include lemon squares; fig bars; the aforementioned Gingerbread Twins; white icing brownies; chocolate, red velvet, and lemon bundt cakes; cake balls; Oreo balls; chocolate fudge cupcakes, and banana pudding doberge Petit Fours. Your best bet is probably to head to either location for lunch, choose a suitable savory option, and then stuff a to-go bag full of sweet goodies to take with you for sharing (or not for sharing). There is another notable item available at Twins. It is made to order for availability year round, though most of us think of it as a Carnivale-time indulgence. We’re talking about king cakes and not just any king cakes. 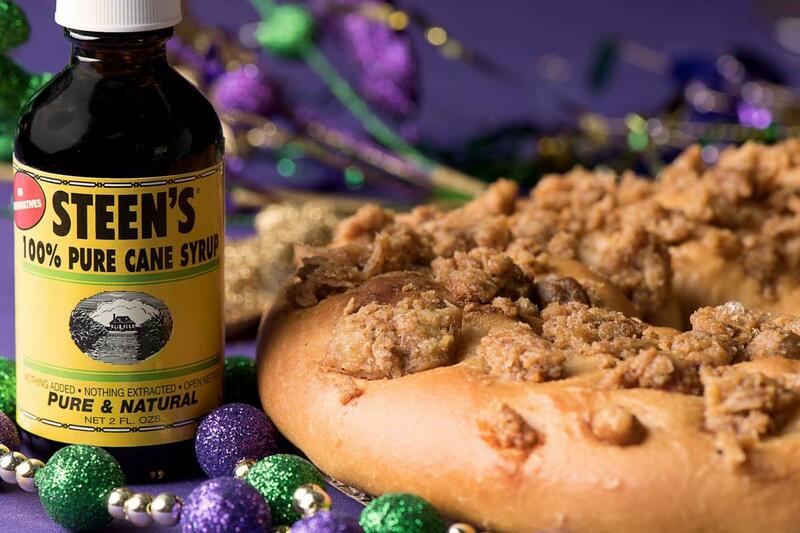 Twins make a great king cake, complete with your choice of fillings, but they also have the distinction of being the first establishment to offer a commercially available boudin king cake. It’s delicious. Most things at Twins are. 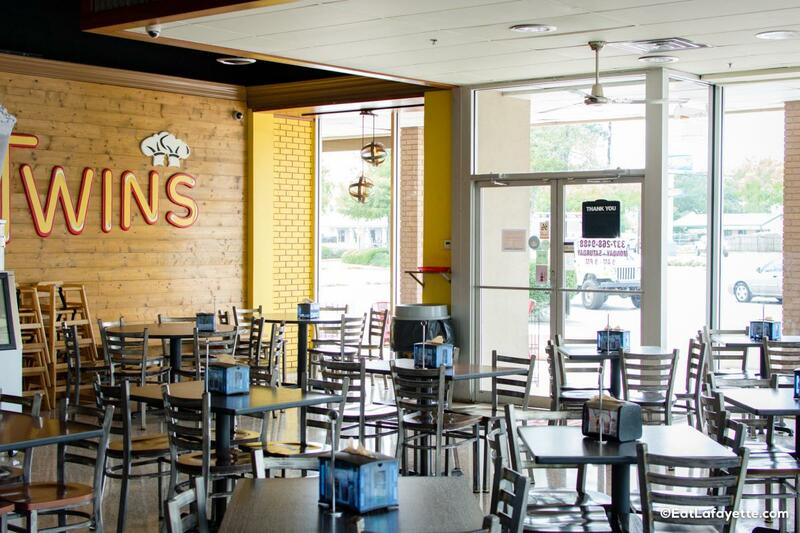 Twins Burgers and Sweets is open at 2801 Johnston Street in Lafayette from 9:00 a.m. to 9:00 p.m. Monday through Saturday. This location is closed on Sundays. The Youngsville location is open at 103 Centre Sarcelle Boulevard from 10:00 a.m. to 9:00 p.m. Monday through Saturday and from 11:00 a.m. to 3:00 p.m. on Sundays. 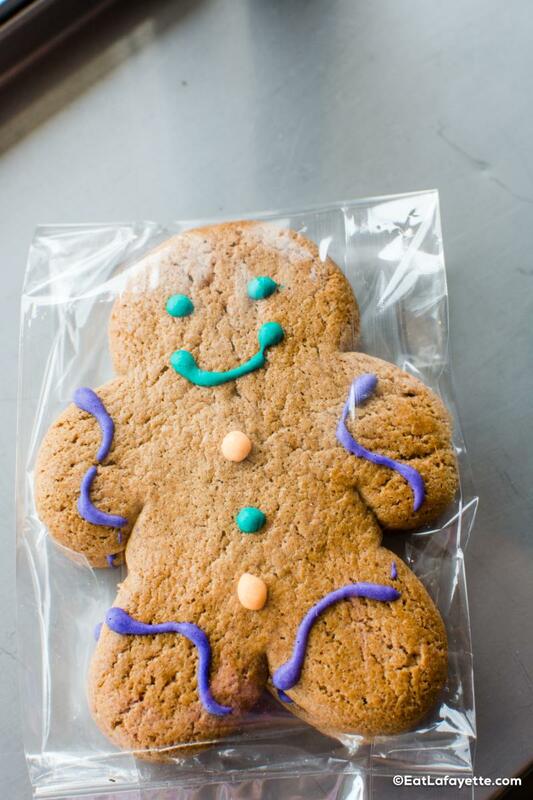 Customers mentioning EatLafayette get a free sandwich cookie!